Throughout its long history, Waller Baptist Church has never ceased to preach God’s Word. Our church grew out of a little Sunday School class led by Miss Nettie Collins, Waller’s first school teacher, in the early 1890s. The class met in a one-room schoolhouse near our present church campus. 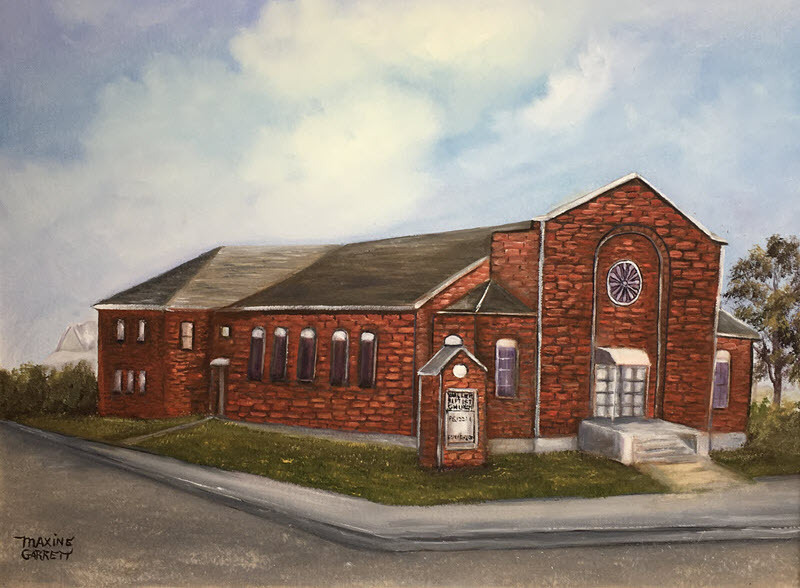 The church was officially organized and became Waller Baptist Church under the leadership of J. E. McClurkin, and by 1894, the church membership was 57. 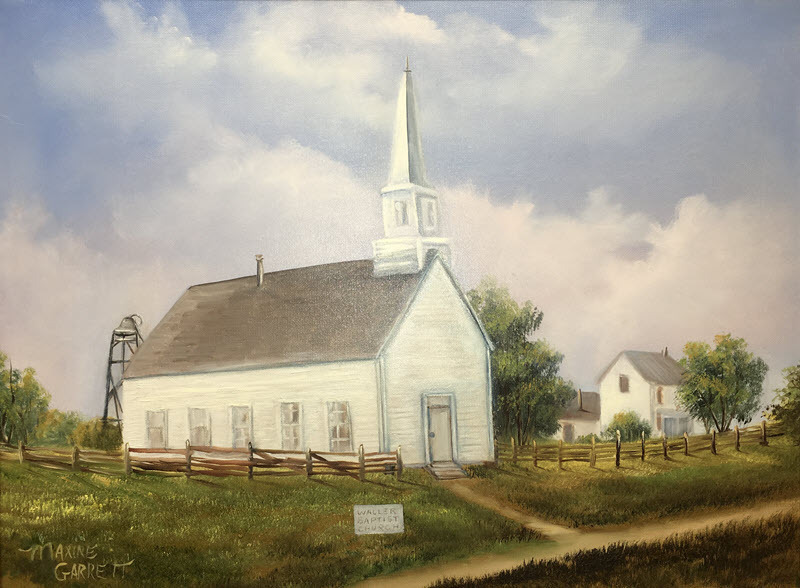 The church continued to meet in the schoolhouse until the first church building was built on the present church site and dedicated on August 16, 1896. The land for the church was presumably donated by C. C. Waller, for whom the town of Waller is named, and who, it is believed, served as pastor for a time. 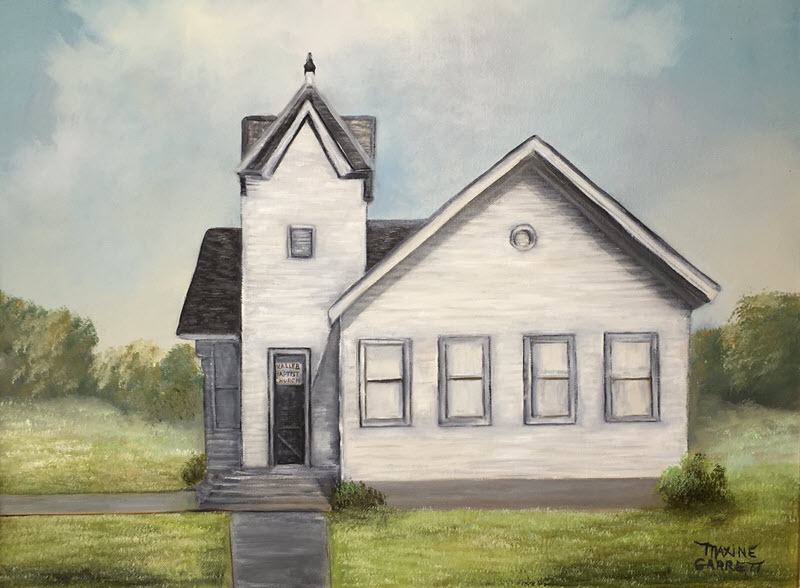 It was a long, white building with windows on both sides and a steeple that housed a large bell. The bell would be rung to remind people of the services. There was no baptistry, so new believers were baptized in a stock tank. That first building served the congregation until 1915, when a more “modern” building was built, debt-free, under the leadership of George N. Cook. It had a sunken baptistry in front of the pulpit. Services were held at Waller High School while the church launched a building program for construction of the church’s current building. The sanctuary and education building were dedicated on September 25, 1966, when Kenneth Lowry was Pastor. The church library was launched a month later, under the direction of Orline Bunting, and continues to operate today. LeVelle Calbat is the current librarian and has served the library since 1994. 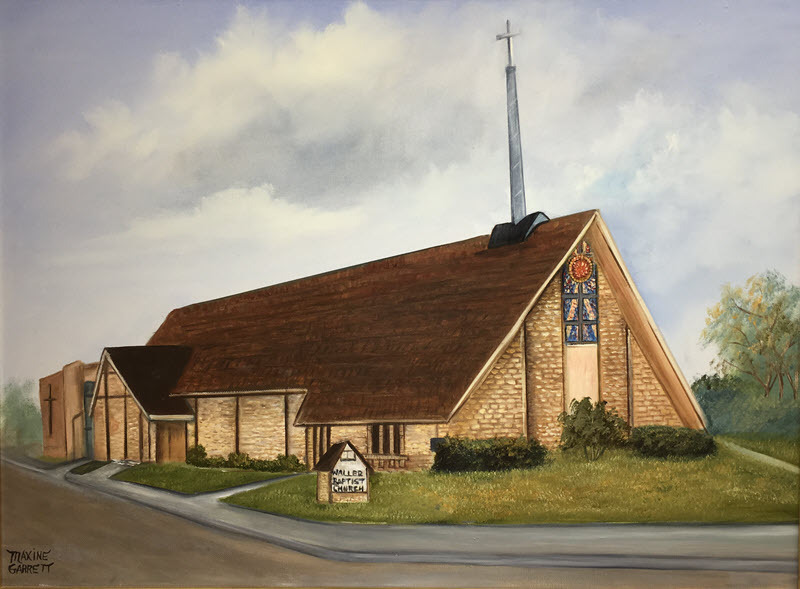 During the pastorate of Rodney Bowman, and as a result of a sermon preached on “mission cell groups”, two ladies in the church started “The Mission Closet and Pantry” in 1985 to provide food and clothing for those in need. This ministry continued for many years until it was merged into the current Waller Assistance and Restoration Ministry (W.A.R.M.). Down through the years we have served our community through a variety of ministries and programs, including blood drives, a bus ministry, Vacation Bible School, Easter Egg Hunt, Fall Festival, Turkey Giveaways, Bethlehem Boulevard, Christmas In A Barn, scholarship awards, “See You at the Pole”, Graduating Senior Banquet, and many others. Under the pastorate of Dr. Charles Wisdom, God provided a unique opportunity for our church to purchase 44 acres of land located on FM 362 South in Waller for future growth and expansion. Dr. Wisdom challenged our members to invest “seed money” provided by the church to help pay off the note for the property. The church members faithfully met the challenge and just a few months later the note was paid! It was a time of rejoicing as we marveled at what God had done. The property was dedicated to the Lord at a special service under the “big tent” on April 27, 2008. Pastor Allen McClure succeeded Dr. Wisdom, and Blake Nichols, who served as Minister of Children and Youth under Pastor McClure, succeeded him. Blake was called to be our Senior Pastor in 2016, where he continues to serve today.